Some argue that this ancient manuscript proves how the Bible is in fact a work of fiction. 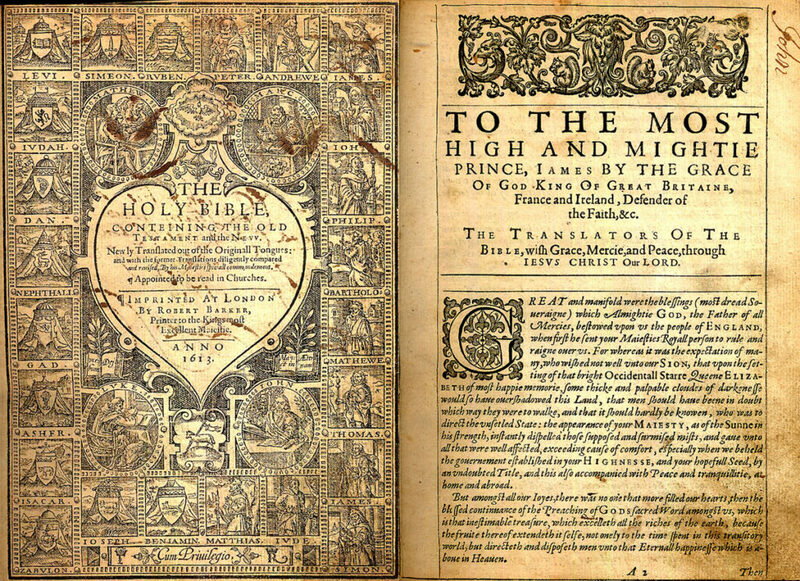 The King James Bible was created after King James I ordered 47 translators to produce an ‘authorized’ version of the Bible that would support the English Church over Puritan influence in earlier texts. Kept hidden away for centuries among ancient manuscripts lodged in the Cambridge college remain an ancient manuscript which turned out to be the EARLIEST known DRAFT of the King James Bible—arguably the most widely read work of literature in the English language. But why does this matter so much? Well, the Bible is a compilation of ancient early texts and translations, and this ancient manuscript shows how one of the translators in charge of translating the King James Bible—Samuel Ward—made several drafts and corrections—based on earlier versions of the Bible—in order to obtain the King James Bible. Author Samuel Ward was one of a team of seven men in Cambridge who worked on the translation of the King James Bible. The manuscript was discovered by American scholar Jeffrey Miller who came across some 70 handwritten papers believed to date back between 1604 and 1608 in ancient archives, containing biblical commentary, with Greek and Hebrew notes. The manuscript had eluded researchers in the past because it was mislabeled—remaining undetected and without any study for centuries. Miller argues how the discovery of the manuscript will help fill in gaps that will allow us to better understand how the bible—which was published d in 1611—came to be. “There was a kind of thunderstruck, leap-out-of-the-bathtub moment,” Miller, told the New York Times in an interview. The King James Bible is the English translation of the Christian Bible made for the Church of England which begun in 1604 and was completed in 1611. The books of the King James Version contain the 39 books of the Old Testament, as well as intertestamental section containing 14 books of the Apocrypha, and the 27 books that make up the New Testament. The KJB is the result of 7 translators working in teams working in London, Oxford, and Cambridge. King James I ordered them to produce an ‘authorized’ version of the Bible that would support the English Church over Puritan influence in earlier texts. Many authors argue that entire sections of the original texts of the Bible were cut out from the ‘finished product’ and notable people and events were entirely omitted from the finished text. “It points the way to a fuller, more complex understanding than ever before of the process by which the KJB, the most widely read work in English of all time, came to be,” added Miller. Discoveries like these raise questions on how much translators influenced the final product and whether or not, the King James Bible is today an ancient text based on the actual truth and events that occurred thousands of years ago. Previous Article← QUIZ: Which Alien Race Do You Belong To?